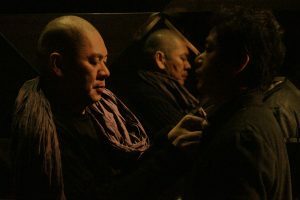 Tsai Ming Liang is a Malaysian Chinese filmmaker. He has written and directed 10 feature films and has also directed many short films and television films. Tsai is one of the most celebrated « Second New Wave » film directors of Taiwanese cinema. His films have been acclaimed worldwide and have won numerous film festival awards. 2001 : What Time Is It There?